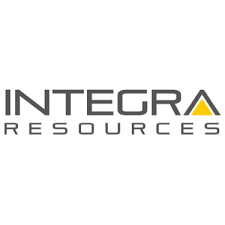 Integra Resources Corp. (TSX-V:ITR) (OTCQX:IRRZF) is pleased to announce that it has closed its previously announced bought deal financing, including the exercise in full of the underwriters’ over-allotment option. A total of 14,375,000 common shares of the Company were sold at a price of $0.80 per Common Share, for aggregate gross proceeds of $11,500,000. The Company plans to use the net proceeds from the Offering to fund exploration and development expenditures at the DeLamar Project and for general corporate purposes. The Offering was made through a syndicate of underwriters led by Raymond James Ltd., including PI Financial Corp., BMO Capital Markets, and GMP Securities L.P. (the “Underwriters”). The Underwriters received a cash commission equal to 6% of the gross proceeds of the Offering (other than from the issue and sale of the Common Shares to certain purchasers on a president’s list, for which a 3% cash commission was paid). The Offering was completed by way of a short form prospectus filed in all of the provinces and territories of Canada, except Québec, and offered and sold elsewhere outside of Canada on a private placement basis. This press release shall not constitute an offer to sell or the solicitation of an offer to buy nor shall there be any sale of these securities in any state or jurisdiction in which such offer, solicitation or sale would be unlawful prior to registration or qualification under the securities laws of any such state or jurisdiction.